Sometime back, we wrote an article about the importance of being a good driver. However, passengers can be just as useful. Have a look at our list below about how you can be a good passenger the next time your significant other/friend/colleague gives you a lift. 1. Don’t add to the stress: Remember how your stressful things were when your parents used to question each and every one of your decisions on the road? 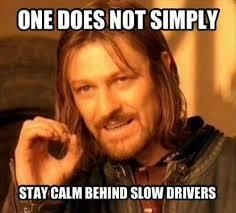 If you do, make sure that you don’t do the same for fellow drivers. Yes, its good to be mindful of safety, but don’t be the one who obsesses over a check engine light, or make comments of their driving habits-chances are, they may refuse to give you a lift next time! 2. Eyes on the road: If you’ve got the coveted passenger seat, you need to be a good co-pilot. Be a friend and look around for obstructions, vehicles which are hard to see (usually when reversing on taking a turn) and assist in navigating them when youre travelling to a new destination. 4. Minimize time on the phone: We’ve spoken about distracted driving in the past, but keep conversations on the phone to a minimum, this is because when youre talking loudly on the phone, the driver has to focus more in and keep their attention, so be a good passenger and stay away from the phone as much as possible. 5. Going in a group? Keep an eye out and behave: More people in the car means that there is a higher likelihood of distracted driving, which can lead to accidents as the driver may end up going too fast, go into the wrong lane, miss a turn or simply not see obstacles in front of them. Feel free to have fun, but if the driver insists to keep the music down, make sure that you comply with their request. 6. Don’t take too long: If a friend offers to pick you up; it is your responsibility to be ready on time. Respect their time by making sure that you’re ready. If you’re not, give them a heads up by letting them know in advance. Are you a good passenger? Tell us your favorite tip from this list in the comments below! 3.“I have to get up early tomorrow” OR “I’ve got work in the morning”: It’s an interesting reply, as it may prompt a follow-up question (ie: ‘what are you doing tomorrow?’). 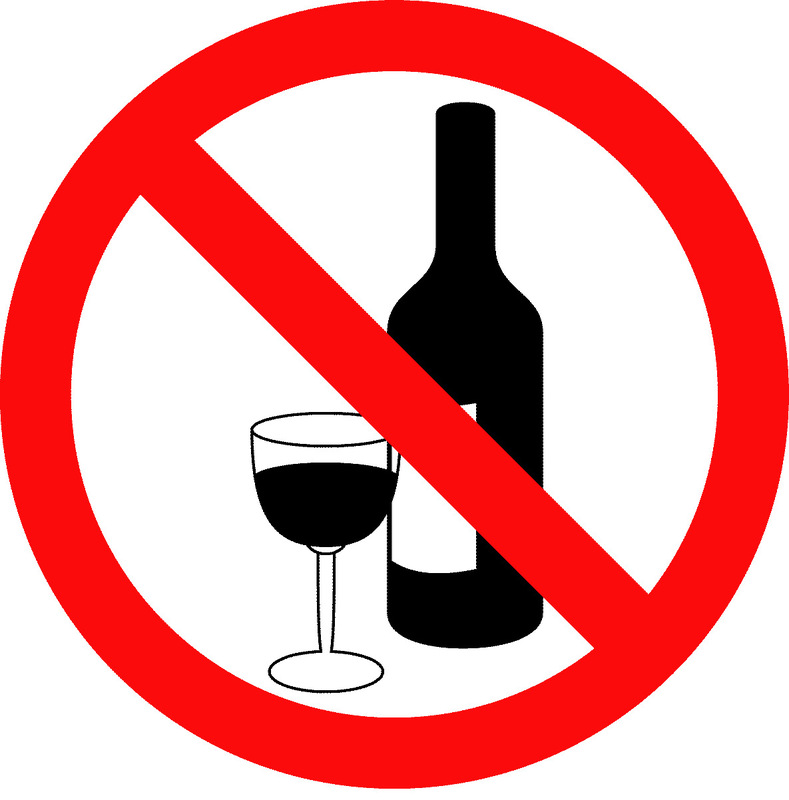 That said, It’s good as it demonstrates that you don’t permit alcohol to interfere with your daily activities and you have a good head on your shoulders. Motorcycles are quite common in Sri Lanka. In fact, as of October 2014, the Sunday Times reported that they nearly 20,000 new motorcycles were registered between January and October 2014 . 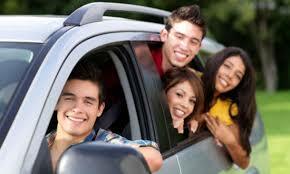 However, they are far more susceptible to get involved in vehicle accidents. On that note, we’d like to provide 10 safety tips for all you motorcycle drivers. 1. Wear a helmet: As we have mentioned earlier, not wearing a helmet is pretty dangerous. Although the situation is still iffy, the court of appeal has allowed individuals to wear helmets until July 2nd. 2. Watch your speed: Don’t speed. Not only is it against the law, the consequences can be far more deadly for a motorcyclist. Travel at a moderate pace, so that you can stop when you need to and always remember to go slow when turning your vehicle. 3. Wear bright clothing: If you can afford to invest in reflective material, go for it. Otherwise, wear bright coloured clothes when you can. In the same way, pick out a helmet which stands out. 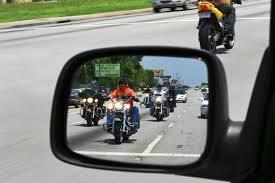 A lot of motorists often complain that they don’t see motorbikes, so ensure that you stay visible. TIP: Avoid wearing shorts or jeans: they provide little protection in the event of a crash. Invest in a decent rain repellent jacket which is breathable and sturdy pants. 4. 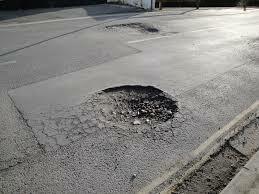 Look for obstacles: Simple obstacles like potholes often are a little more than an annoyance to most motorists. However, it can be a death trap for motorcyclists. Keep an eye out for sand, slippery roads, and oil spills as they can cause you to lose control of your motorcycle. 5. Look before you move: When you’re drifting into another lane or overtaking a vehicle, ensure that you look. The want to make sure that no other vehicles are in your way which could cause you serious injury. 6. 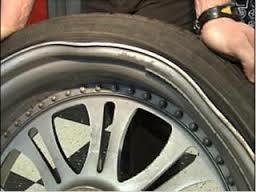 Dont drive when you are tired: As we have suggested before, driving when you’re tired is very dangerous. Whenever possible, don’t drive tired because your reflex need to be much sharper when you’re travelling on a motorcycle. Speaking of reflexes, don’t have mobile phones or speakers on you when riding, as this significantly increases the chances of you getting into an accident. 7. Assume the worst, hope for the best: Experienced motorcyclists often suggest that its best to be prepared for everything. We’re not trying to make you paranoid, but expect the car in front of you to stop immediately, turn suddenly or open a door when stationary. Anticipate potential hazards and react swiftly. 8. 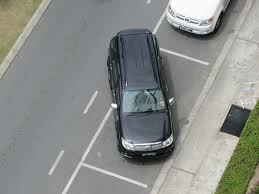 Leave enough space between vehicles: Ensure that you leave sufficient stopping distance. Yes, while bikes need less space to stop, it’s always better to give yourself more room than to be sorry. Leave even more space when its raining. 9. Watch your passengers: As a driver, it is your responsibility to take your passenger safe and sound. Don’t give them a broken helmet, and be sure to drive extra carefully as the additional weight will limit your ability to move swiftly and manage tight corners. 10. Don’t wear slippers: Always wear shoes which give you a good grip. Yes, it may be hot and more uncomfortable. However, if you are wearing sandals or slippers, chances are that they can slip off. This is quite dangerous. 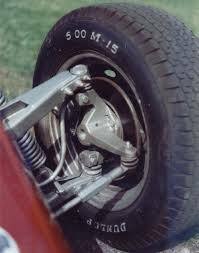 Furthermore, shoes let you shift gears with little discomfort and ensures that your feet don’t get burnt. Have any more tips to add to this list? Write them in our comments section. Until then, safe driving! The Cops found out that I’ve been drinking and driving. What happens now? We get it, it happens. You’ve had a lot to drink and you’ve made a poor decision, you got behind the wheel of your car. Now, you’ve gotten caught by the police. If this is your first time, you’re probably thinking “What’s going to happen now?” Here’s what you should expect. 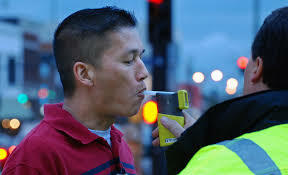 The Test: If a police officer asks if you’ve been drinking and isn’t satisfied with your answer, you will need to take a breathalyzer test. The key number here is 0.06%. If your Blood Alcohol Content (BAC) is higher than this amount, OR if you refuse to do the test altogether, you will be deemed drunk. The police have decided that I’m drunk, what happens now? – Stay at the police station to be examined by a government medical officer. – Have his/her vehicle taken by the police: Although the insurance firm can make these arrangements for you, You will bear the cost of towing your vehicle (between Rs. 10,000-Rs. 20,000 within Colombo) to the police station. – Have a DUI (Driving Under the Influence) on your permanent record: which could affect your ability to get certain jobs, travel VISA’s, bank loans, get into university, not to mention the social stigma associated with being labelled a drunk driver. What about insurance? Your premium amounts won’t get affected in Sri Lanka. 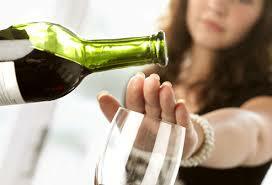 However, if there is an accident and you are caught with a DUI, your insurance claim will be rejected. Let’s recap: A suspended driving license, an impounded vehicle and a fair amount of money gone down the drain. That’s a pretty significant penalty for deciding to get behind the wheel while driving. Plus, we haven’t even gone into what would happen if your vehicle got into an accident, this is what happens when the stakes are lower! Bottom line: drinking and driving isn’t worth it. Make sure you take appropriate steps to get home safely. The Fast and the Furious 7 has come to cinemas in Sri Lanka. Although the trailer focused on its usual buildup, nearly all of the attention is focused around the demise of Paul Walker, who was one of the lead actors of the Fast and the Furious franchise. 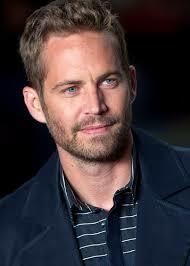 It was a tragedy when Paul Walker and his passenger Roger Rodas were involved in a car crash. It’s a harsh lesson about the importance of having insurance. 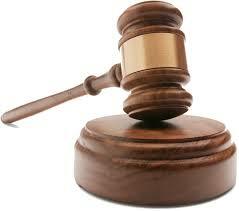 Universal pictures claimed for a $50million Key Person Insurance payout. This is to cover various elements such as the loss of a high profile star, cost for getting replacements, production delays, time off taken for cast and crew to recover from the tragic incident etc. Even in Sri Lanka, there are individuals who work in large companies who apply for key person insurance or life insurance in order to protect those who are most important to them, just in case. 1. Going too slowly…on the highway: Yes, we have highways and that is excellent. However, there are a number of individuals who go too slow-say travelling at 50kmph when the speed is as high as 100kmph. If you are one of those who goes too slowly, move towards the left lane. 2. Driving on the wrong lane: Speaking of lanes, there are too many vehicles which I encounter which travel on the wrong lane. If you are one of them, hear this: The left lane is for slower drivers, while the right lane is for those who want to go faster. 3. Disrespecting road rules: A classic example is disregarding the pedestrian crossing. A lot of drivers don’t stop as they are supposed to. Yes, the drivers will respond saying that pedestrians usually ‘jump from nowhere’, but they are allowed to cross the road using the pedestrian crossing. So be aware. 4. 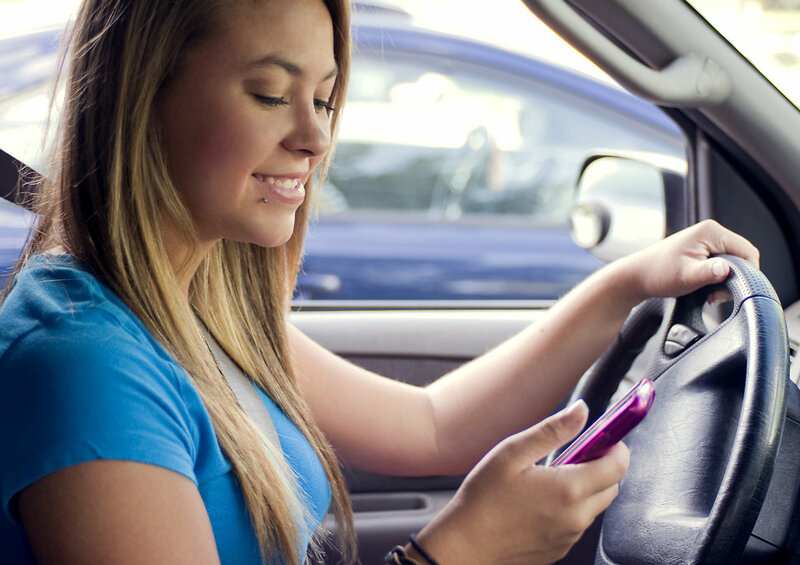 Using Mobiles & driving: As we have mentioned earlier, this is very dangerous, since a moment’s distraction is all that’s necessary in order to cause a collision. If you must take or receive an important call, move your car to the side and take the call. 5. Using the wrong turn signal: One of the most basic things to do, and yet you’ve likely come upon this scenario: drivers who are about to turn left, have their indicators lit up in the other direction (even when they can’t turn right!). While this may be quite amusing to some, it slows down the vehicle behind as it creates uncertainty, because the driver up front seemingly doesn’t appear to know what they are doing. 6. Drifting in and out of lanes: Probably the most annoying on the list. Some drivers cant seem to decide on which lane they want to stay on, and frequently keep changing lanes by swerving to the left or the right. This makes it difficult sometimes as motorists want to drive normally and shouldn’t have to worry about getting involved in a side on collision. 7. Reversing onto the main road: If you’ve ever had to park in a shop or restaurant which is on the main road, you know nerve-wracking this feels. 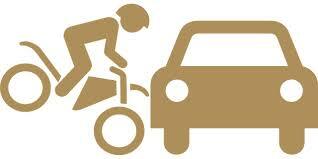 You need to reverse and manoeuvre carefully as you do your best to avoid hitting another car, or pedestrian. 8. Inconvenient parking: You need to park somewhere quickly, unfortunately the closest parking spot has been taken in a very poor fashion (see pic below). If this is you, breathe. We’ve all been there at least once. Please learn how to park in a convenient place and it’ll help everyone. 9. 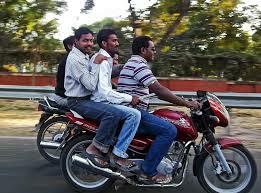 Too many people in a vehicle: This is more likely to happen if the vehicle is a three-wheeler/tuk tuk or a motorcycle. I understand that people want to save the cost of transportation, but surely that shouldn’t be at the expense of someone’s life? 10. Large vehicles on narrow roads: Narrow ‘side’ roads are frequently used as shortcuts by a number of drivers. However, the moment a large vehicle such as a bus, truck or even a car comes along, there is no way a second vehicle can go through. 11. No helmets: This one is for all the motorcyclists who don’t use helmets: it’s a terrible idea. You are risking serious injury if you don’t have one on you and a road accident were to happen. Furthermore, there are children who travel without a helmet: Surely if you are a responsible parent, keeping your children safe should be a priority. 12. Driving through yellow lights: Rarely a day hour goes by when this does not happen. All types of motorists seem to view the yellow light as ‘go’ and jam their foot on the accelerator. It’s not a safe thing to do, and even though it may cost you a little time in traffic, it’s better to get there late than to not get there at all. 12. Large vehicles on narrow roads: Narrow ‘side’ roads are frequently used as shortcuts by a number of drivers. However, the moment a large vehicle such as a bus, truck or even a car comes along, there is no way a second vehicle can go through. And there you have it, the 12 worst driving habits of Sri Lankans. Which is the worst of them all? Tell us in the comments! 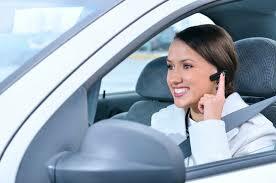 Question: Do you use a mobile phone or hands free headset while driving? A study sponsored by the American Automobile Association (AAA) found that drivers who use voice activated and hands free features to send texts, make phone calls, change radio stations or post on social media had a slower reaction time and higher level of distraction than those drivers who did not. This is a massive blow as it confirms what most people think: hands free is not risk free. Although voice activated systems and hands free devices were designed to allow drivers to keep their hands on the steering wheel and eyes on the road, our brains can’t multitask. According to the study, the area of the brain which processes moving images falls by 30% when talking on the phone. This means that drivers are more focused on the phone and a lot less on their surroundings, which can lead to more accidents. Lets be honest: we’re at fault too. Whether it is to make a quick phone call home, texting the better half during rush hour, calling the kids so you can pick them up from tuition, ringing ahead to book a takeaway or even taking a picture of some hilarious #TukTuk Wisdom to upload onto Facebook. Its illegal and can cost you a major fine, or worse. The point is, just because you have ways to multitask while driving, it doesn’t mean you should. 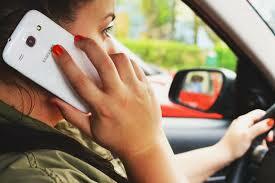 Do you feel that mobile phones/hands free headsets are a big reason for road accidents? Let us know in the comments! December usually heralds the season of Christmas trees, families spending time together, numerous parties and last-minute dashes to buy presents. However, it also rains during this particular month. As a result, the roads in Sri Lanka become even more dangerous than they usually are. Nobody wants to get involved in a motor accident, so here are some tips to get to your destination safely. 1. Lights on… to a point: Using your lights allow drivers to increase visibility, and make you more visible to other motorists. Sometimes, you may need to use fog lights as per the situation. Use your best judgement, but please don’t put your lights too high, as it is a significant distraction to other drivers, and is a very dangerous thing to do as the driver may lose sight for a moment and lose control. 2. Pay attention: This means no phones or other distractions. Driving in Sri Lanka is hard enough, but with rain affected roads, the margin of error is even smaller. Make sure that you pay close attention to your surroundings and drive safe. 3. Slow and Steady: It’s normal that you want to get your destination quickly, but it’s always better to get there a little late than to not get there at all. On wet roads, make sure you put more braking distance as you need plenty of time to react to the slippery conditions. Besides, slow and steady always wins the race. 4. 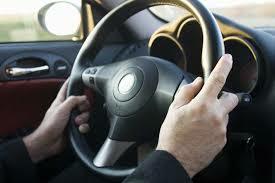 Use a light touch: Irrespective of whether you are making a turn, steering or hitting the brakes, make sure that you make controlled movements. If your driving is steady, your vehicle will also be steady. 5. To the Left, to the left: Since you’re driving slow (see Tip 3), move to far left and allow other vehicles to overtake you. Its annoying to have drivers who don’t know how to use lanes properly, much more so during slippery driving conditions. 6. Beware of water: Seems obvious, but avoid water whenever you can. Driving through water can harm your engine and brakes. A good rule of thumb to observe: if the water level is higher than the bottom of your doors, don’t drive through. Worst case scenario, you may need to take another route, but that’s always better than having your vehicle get stuck as it pours outside. 7. Demist the front and back windscreen: It’s very simple, use your heater so that you have maximum visibility when you are on slippery roads. 8. If possible, leave more time for your journey: This will allow you to relax and drive slower, while allowing you to take account for potential traffic jams. Any tips you would like to add to our list? Tell us in the comments section! In my last post, I wrote about how we built trust via social media. Today, I’d like to show our latest Youtube video, which has already had over 17000 views (see below). In case you haven’t heard, Sri Lankan actress/singer/entrepreneur Amila Nadeeshani met with an ‘accident’ two weeks ago. Fortunately, she is covered by HNB Assurance. As an organization known for its positive engagement with its customers, we made this video to illustrate how policyholders of HNB Assurance (represented by Ms. Nadeeshani) can breathe easy after a road accident. Look at our employees in the video: the staff member at the call center, the assessor and the garage mechanic. 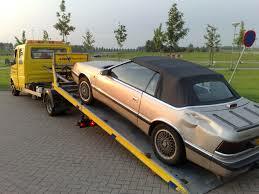 We make dealing with a road accident- from crash to claim settlement, a hassle free experience. This is NOT conventional advertising. These are new methods used by individuals and organizations to raise brand awareness. Think of videos which have gone viral: Gangam Style by PSY, ‘First Kiss’ by clothing company Wren, the ALS Ice Bucket Challenge, Emma Watson’s UN speech and ‘Happy’ by Pharell Williams, which has led to countless spinoffs such as the one by MAS Linea Aqua. These videos are the future. So sit back, relax and shake away your Monday blues. This is the first of many videos we are already conjuring. If you like it, do us a favour and leave a comment, or share this among your friends- especially those who would enjoy watching this! Update: As of Jan 2nd, the number of views has risen to 29000. Thanks for your views!